I love to design — whether it's a website, a logo, an ad, an email, or a brochure, I enjoy creating new brand identities or faithfully extending existing ones. I sweat the small stuff; I see the big picture; I listen, learn, collaborate, and deliver. I design sites, landing pages, logos, infographics, and ads. I edit images and illustrate for desktop, mobile, and print. I'm equally at home coding from the ground up in HTML and CSS, or wrangling WordPress, Bootstrap, JQuery and other frameworks. I help create seamless customer and visitor experiences by considering the user journey from first touch to last. 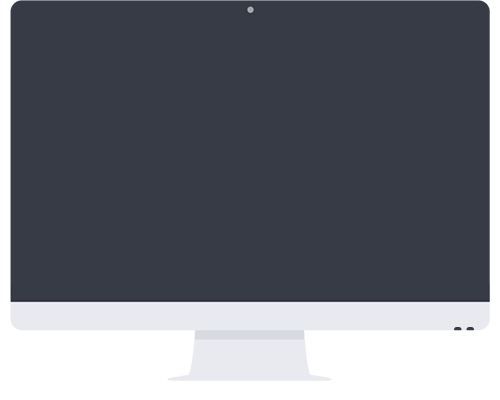 I craft engaging, bulletproof email creative and champion the DOs and DON'Ts of deliverability and responsive design. I was born in Madrid, Spain (so was my whole family) and I'm fluent in Spanish. 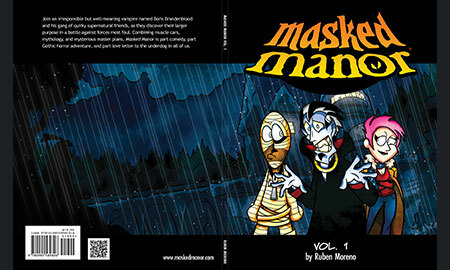 I wrote and drew a horror comedy webcomic called Masked Manor in my spare time from 2010 to 2013, completing over 430 strips and self-publishing a trade paperback of the entire first season of the comic. I plan to print the other two seasons at some point. I sing and play the bass guitar, and I love prog rock. I'm a dyed-in-the-wool PC gamer but I love Apple in the mobile space. I earned both my BA in English and my MS in Technical Communication at NC State University. Since then, I've worked at big corporations and tiny startups alike. By day, I'm currently the Production Design Team Lead at Red Hat, supporting the corporate marketing group from the company's global headquarters in downtown Raleigh. 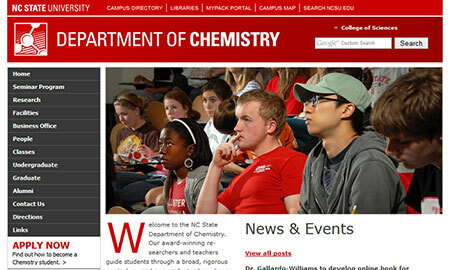 In my spare time I'm the webmaster for the NCSU Department of Chemistry. Here's a small sampling of some of my work, from freelance projects to content generated in my full-time roles. 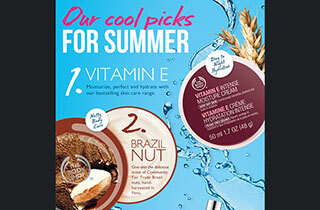 I designed this email to support The Body Shop's U.S. market sales in May of 2013. Working in conjunction with a digital content specialist who provided the copy direction, I created an editorial-style design combining typographical variation, product photography, and water and ice cube assets sourced from the company's international asset library. Each area of the email was sliced with different URLs for the products being showcased. The main challenge on this project was working with incomplete background imagery. The ice cubes provided to me were pre-flattened assets, each cube being only partially visible beneath the strawberry and peppermint products. To overcome this, I created additional whole ice cubes by stitching together the edges of the partial cubes and using opacity layer blending to smooth out the transitions. I also added semi-transparency to the middle of the cubes for an extra touch of realism. 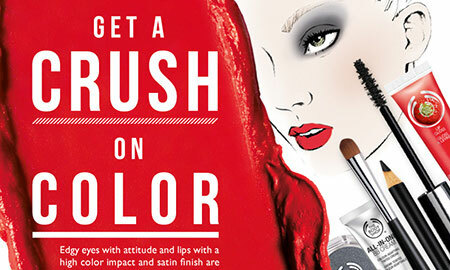 I designed this email to support The Body Shop's new Colour Crush™ makeup line moving into the latter part of 2013. The project represented a break from the brand's offer-centric emails and provided an opportunity to elevate the brand image by conveying an aspirational look and feel. 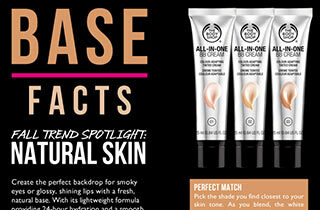 The assets I used included product photography and a brand-supplied "get the look" illustration. I created the animated main pane in this email to convey the value of a commercial offer that had often been easier to understand in stores vs. shopping online. The animation explains the offer to customers with several examples, and also gets their attention with a cheeky headline (thanks to fellow designer August McCoy for the suggestion). The version of the email shown here is the Canadian variant, which is required by law to display the offer in both English and French. As a result, the email contains French content below the entire English portion, complete with a French language animation that required different pacing and space usage. 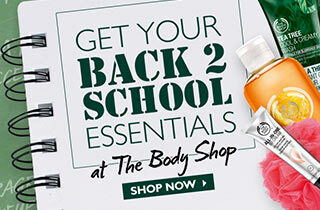 This email also represents a transition to mobile-friendly emails in 2014 for The Body Shop. This is one of many new emails for the brand that uses a mobile-friendly template with media queries to change the way content is displayed on phones vs. desktops and tablets. My role in the deployment of these emails involved extensive adjustments to the responsive code to tailor it to The Body Shop U.S. market's requirements and to refine its compatibility with various email readers, including Outlook. The email also features high-resolution images for high-pixel-density displays. Additionally, as Senior Web Designer I coordinated the efforts of the other designers (August McCoy and Danielle Welch) who contributed the remaining banners and sub-panes for this email, to ensure a consistent style and to effectively manage our team workflow. 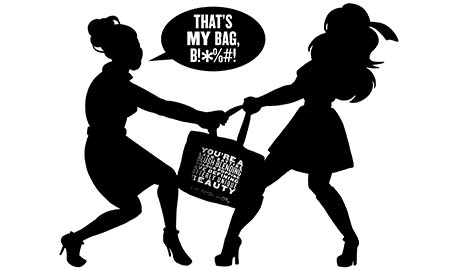 I was approached in August 2014 to create an edgy illustration to be tested in select U.S. stores for The Body Shop's 2014 Limited Edition Black Friday Tote. The copy and concept were provided to me on a tight deadline. I created the illustration in Photoshop in a few hours and came up with a preliminary type treatment to accompany the image. The second, black-framed version shown above incorporates the market-wide final type treatment for all holiday posters, as adapted by fellow designer Meredith Atwater. 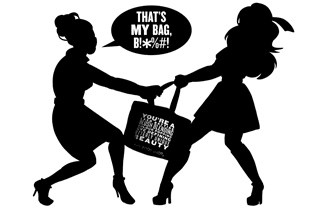 Though response to the piece was positive, the brand ultimately chose to forgo the test, deploying internationally approved assets that featured the bag and its contents up close. 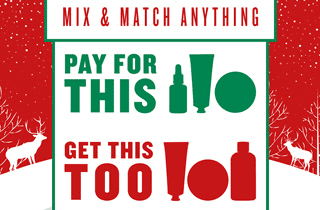 I created this landing page to spotlight a new line of The Body Shop's holiday makeup for 2014. The page includes new typography to accompany the hero product, and the layout is fully responsive for desktops, tablets, and mobile devices. Additionally, the page maximizes the use of HTML-based text where possible (as opposed to rendered text within graphics) to help with SEO. 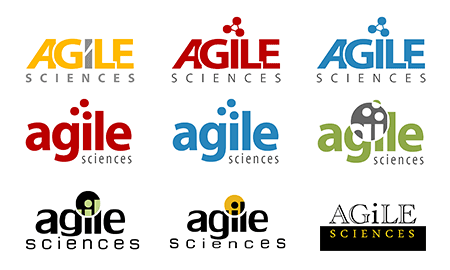 Agile Sciences Founder and Chief Research Officer Dr. Christian Melander approached me in early 2008 to design a logo and website for the company. After providing a variety of logo options to choose from and gathering feedback, I created the final logo and designed a website to showcase company news, information on company personnel, a general overview of the science and technology involved, a list of publications, and contact information. 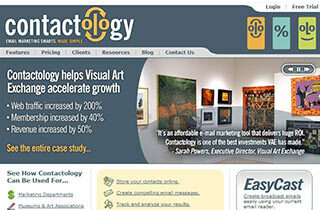 The final website went live in February of 2008. In 2009, maintenance of the website was transferred to another party. 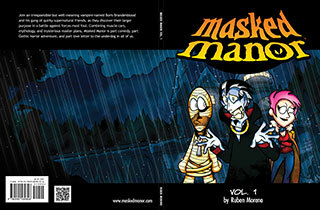 In the fall of 2009 I began working on a massive personal project: a horror comedy webcomic called Masked Manor. The comic was published online several times per week from February 2010 until September 2013. In total, the comic comprises 437 strips over three "seasons," plus special holiday art and convention pieces, and a limited run of a 70-page full-color trade paperback that collects the first year of the comic into a single printed volume. I created all materials related to the comic, including: character designs and all artwork, logo design, plot and written dialogue, panel layout, lettering, coloring, site design, site coding (a custom WordPress theme), back-end store setup, ad banner design, ad campaign setup, book design and layout, and ancillary print material design (bookmarks, business cards, and large-format convention backdrops). Masked Manor represents an extremely taxing labor of love that I saw through to completion in my spare time, even after putting in a full day's work at the office every day. I'm extremely proud of this project, not simply due to the sheer volume of work involved, but also because it represents a long-term commitment and an incredible learning experience. 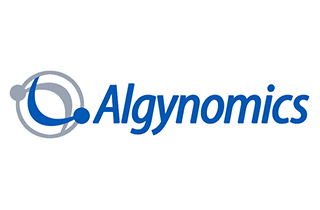 In early 2008, Algynomics President and co-founder Dr. William Maixner enlisted me to create a new website for the company and refresh its corporate identity with a new logo. The final website went live in March of that year. In 2009, maintenance and design duties for the website were transferred to another party. In 2005 I was enlisted by Dr. David Muddiman at North Carolina State University to create a website for him and his mass spectrometry research group. This working relationship was renewed in 2008, and at that point I began designing additional sites for other faculty members. 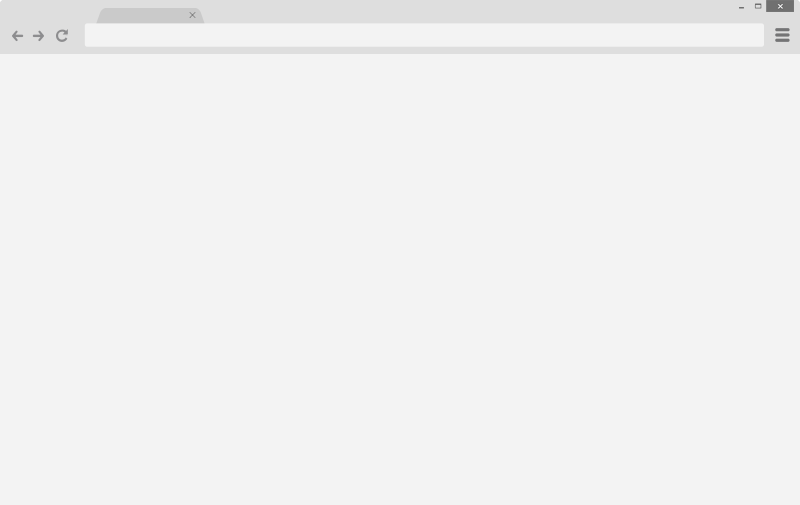 All of these sites were created to blend in with existing NC State branding. 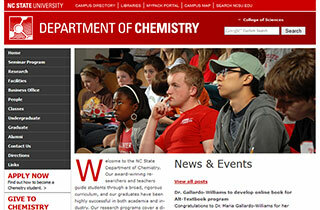 In 2012, I finished a complete reskin and overhaul of the Department of Chemistry website, including typographical changes and other bits of polish to bring the site in line with recently updated NCSU branding. 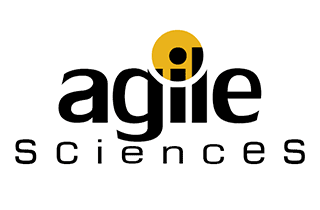 I also designed a brand-new "molecule and box" logo for the department. I also drafted a maintenance contract with the department in 2012 to keep me on retainer as the official webmaster for the main Chemistry site and additional facilities and faculty sub-sites. 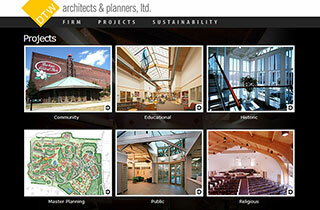 I created this website for DTW Architects & Planners in the first quarter of 2008. The site features a homepage carousel that spotlights key projects for the firm, as well as pages detailing the firm's philosophy, awards and certifications. The highlight of the site is an extensive project gallery with in-depth descriptions and multiple images per project, ranging from blueprints and site plans to interior and exterior photography. Every 12 to 18 months, the firm rolls out additional content updates for me to execute, depending on the cadence of the firm's projects. I am currently planning to transition this site in 2015 to a fully responsive, mobile-friendly design. 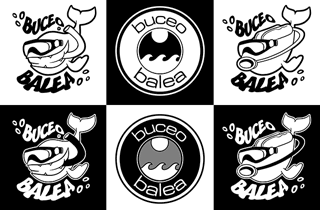 I created these logos for a family member's scubadiving business based in Vigo, Spain. I initially provided a cartoon whale logo and a more conservative modern logo, in dark and light versions, to spark discussion. Ultimately the whale was chosen but a request was made for me to modify the character with a breathing mask, to provide a more literal representation of the equipment being used at the dive center. 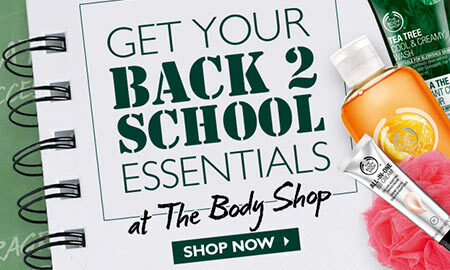 I designed this email for The Body Shop as part of a "Back-to-school Essentials" event in July of 2013. The email combines a visually engaging tilted layout, a ringed notebook and custom-made chalkboard background, product photography, and strong typography to convey both the event theme and the details of a special customer loyalty card offer. 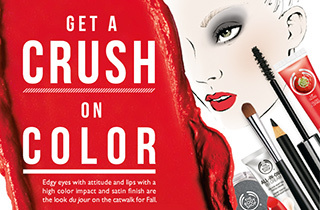 I designed this email for The Body Shop to spotlight a 2013 fall makeup product rollout. The email features a clean, fashion-focused editorial layout that explains some of the product benefits and invites the customer to shop for the shade that's best for her. 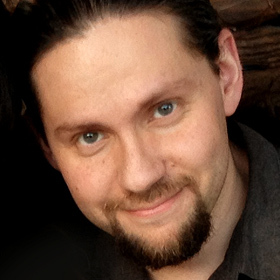 In the fall of 2007, SourceKit LLC rebranded its email marketing software platform from SourceKit Email Manager to Contactology. As part of this rebranding, I redesigned the old website for the platform into a new Contactology site, featuring a more modern look that placed increased emphasis on client case studies, testimonials, and product features. In the years since my departure from the company, the Contactology site has undergone a full redesign. 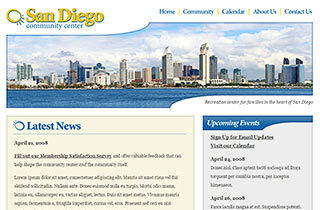 During my time at SourceKit, I designed this example website for a fictitious San Diego community center as part of a set of sample materials to be used during product demonstrations for the company's Contactology email marketing software platform. The site features an original logo and several example pages to illustrate typical content scenarios as well as a link to a Contactology-powered survey and sign-up page that illustrates some of the platform's functionality. Want to get in touch with me? I'd love to hear from you.